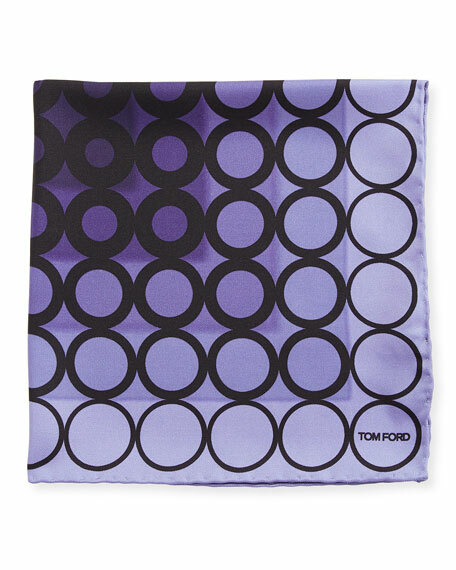 TOM FORD pocket square featuring variegating dot pattern. 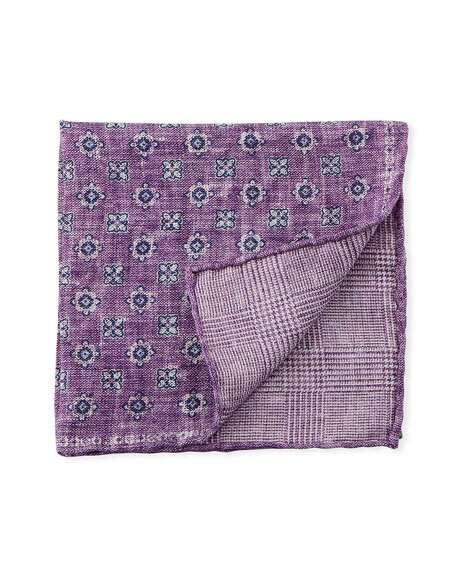 Brioni floral pocket square. Logo detail at corner. Silk. Made in Italy. 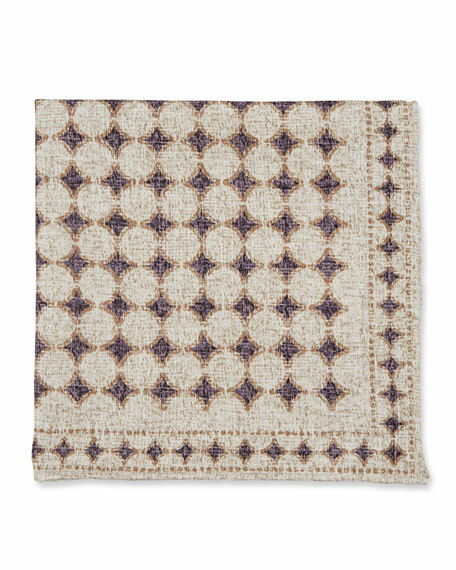 Brunello Cucinelli pocket square in diamond or paisley pattern. Approx. 12" square. Silk/cotton. Dry clean. Made in Italy. 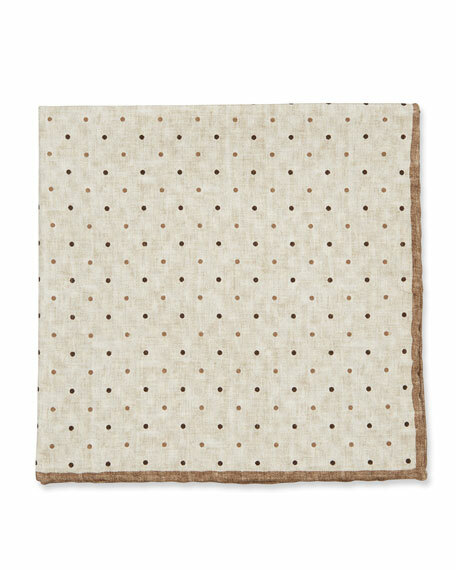 Brunello Cucinelli pocket square in silk-blend. Reverses from dots to gingham. Approx. 12" square. Silk/cotton. Dry clean. Made in Italy. Pocket square by Edward Armah. Reverses from floral to houndstooth. Silk. Made in Italy.